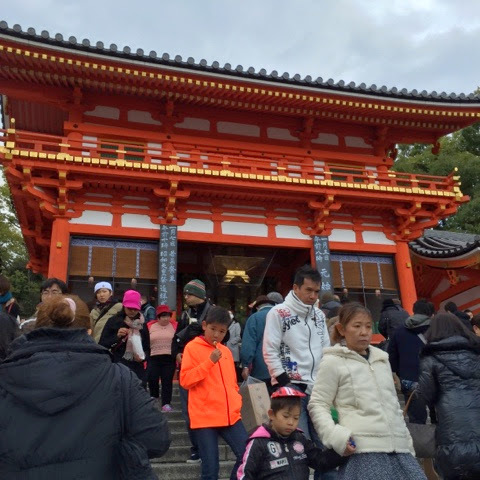 Day 8 - Spending the first day of 2015 in Kyoto, Japan is a whole new experience indeed. Since it is also my first visit here and through the research I did, it seldom rain here. But today, it did! After we went to Yasaka Shrine. 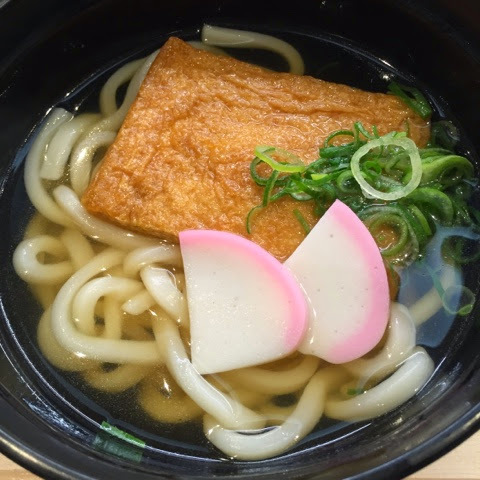 From our hotel to Gion area, it's about 20mins away, by bus 203 and alight right at Gion. See how bright and sunny it was at noon. Although the wind was really strong. 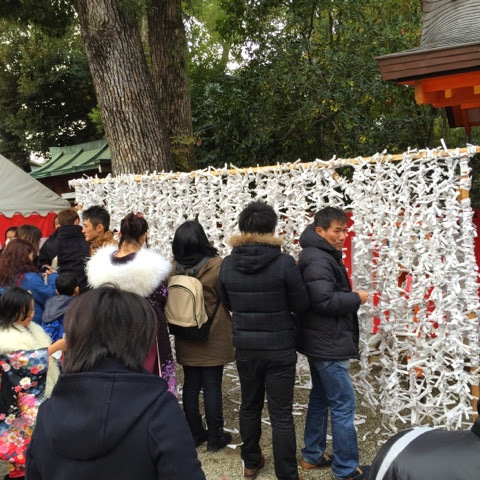 The shrine is a hot tourist and local attraction on New Year's Day and it's an auspicious tradition to visit the temples to pray for good luck. Expect to see many many people. It's packed so be careful of your belongings. Many couples would also try their luck at the fortune telling papers which you can draw and pay 200 yen for the paper. 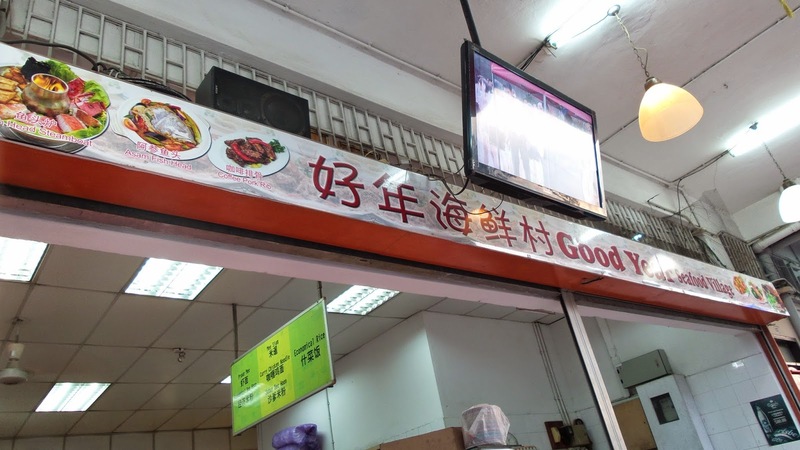 Expect many stalls selling food for the worshippers. 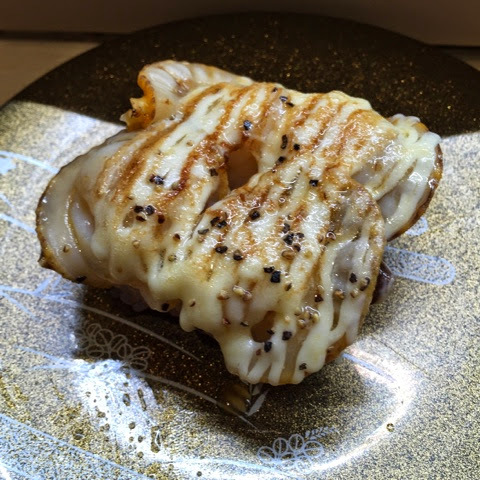 Ranging from Okonomiyaki to takayaki to sausages and snacks like this seen below. There are quite a few geishas, some fake, roaming around the temples and in Gion area. So it will be a good opportunity if you wish to take a photo with them. 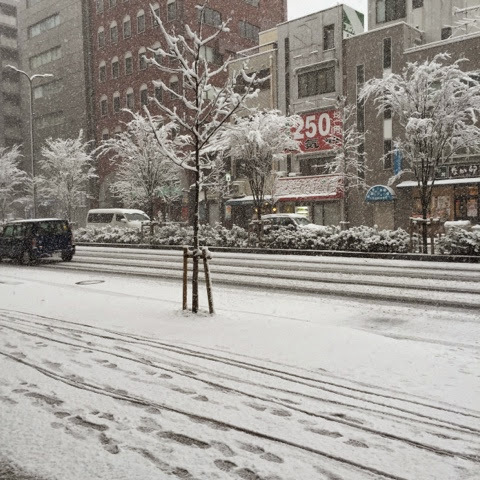 Some photos of the snow! 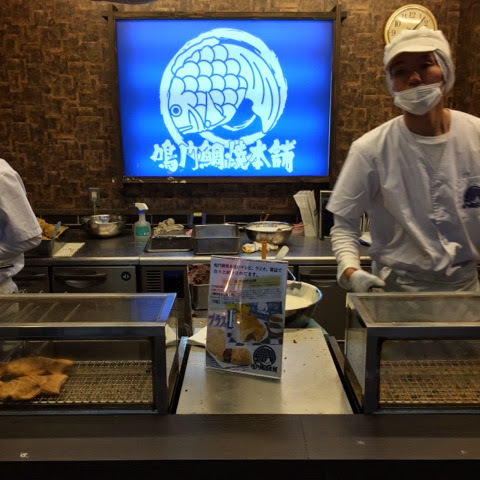 Lunch was at this famous pancake pancake place called, Issen Yoshoku. 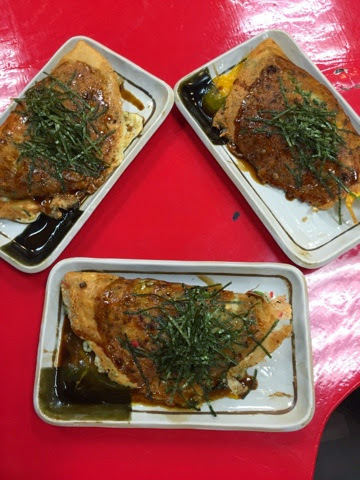 It is quite unlike the usual okonomiyaki that you see everywhere. The one here is like a pizza folded in half. 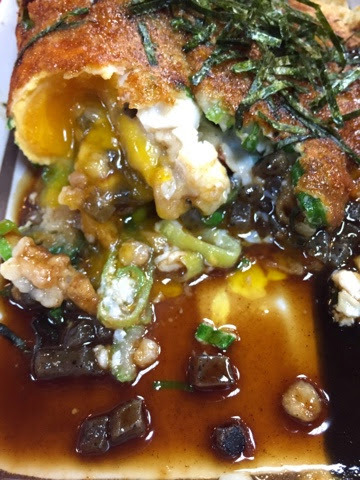 On the pancake are ingredients like scallions, shrimps, konnyaku, and egg all thrown together before spreading with some teriyaki sauce and seaweed. 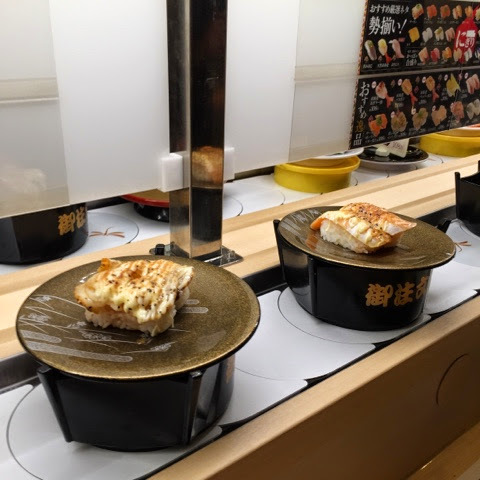 And if you are not a fan of pancake and wants to try other things, you will be surprised because they only have one food item! 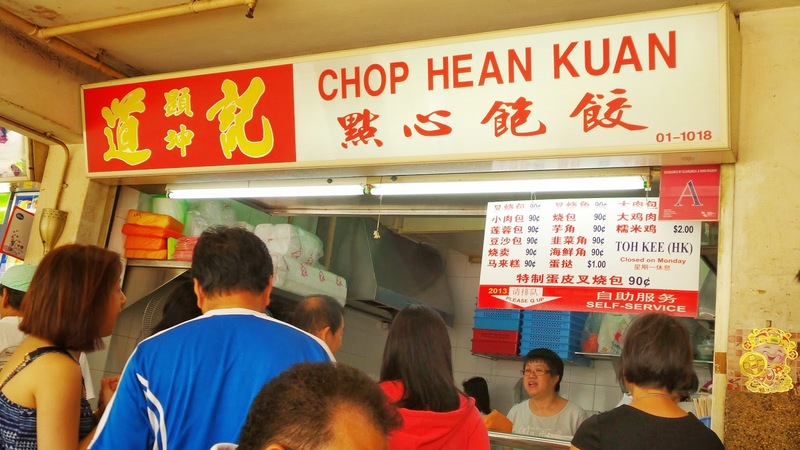 Nevertheless, the queue to have a taste of this famous pancake can be rather long especially at meal times. Today was because most places are closed and many tourists like us are stranded without food. 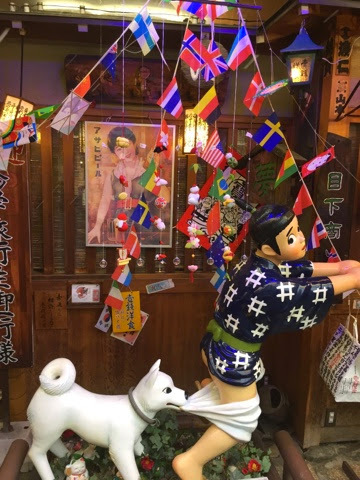 The statue outside the restaurant is one that catches the attention of people and photo-worthy. Turnover rate is fast though all thanks to the speed at which the pancakes are being churned. 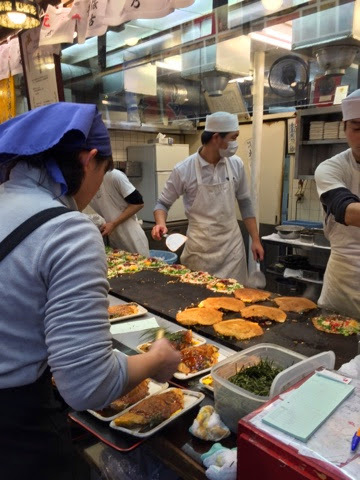 Hard at work are these skillful chefs who only needs to prepare the same dish many times. Seats are not many so you need to be patient and wait for your turn while entertaining yourself outside with the chops or photo taking with the shop's facade - definitely a free marketing technique for the restaurant. 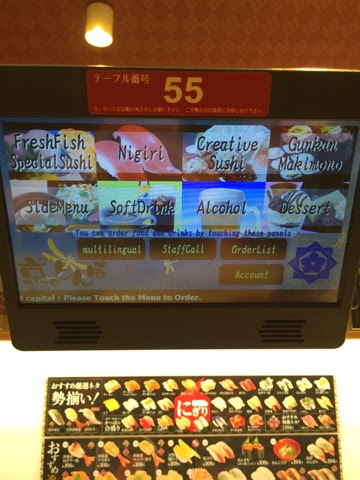 Other than this, very few Japanese restaurants are opened. Perhaps only the ones located in hotels are. 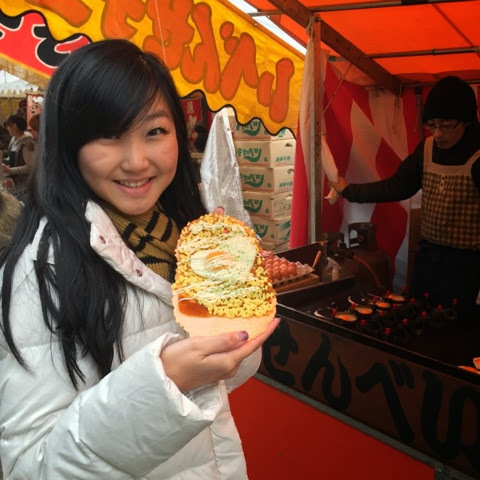 Mostly international restaurants and little food stores selling snacks or sweets are opened. 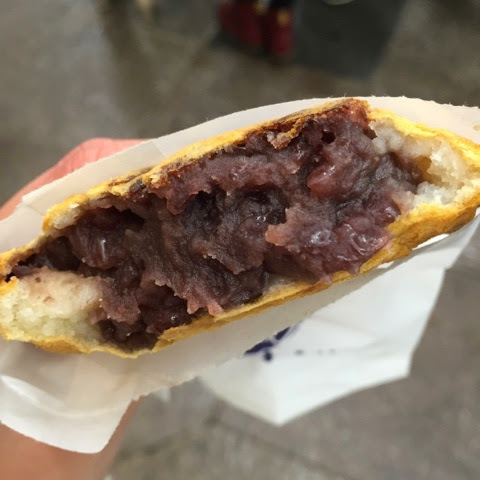 Look at the red bean loaded pancake! 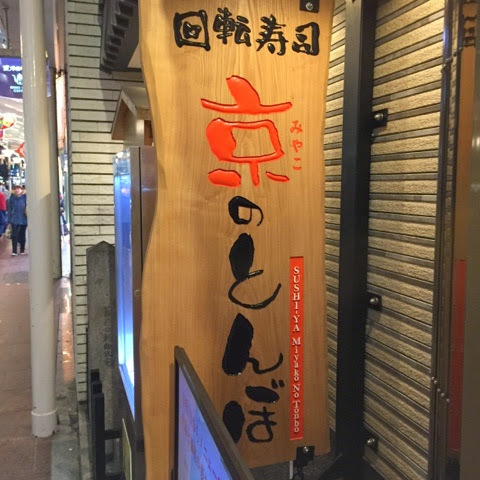 This shop is located within one of the streets branched out of Nishiki market. A steal indeed. For 150 yen, I would never have gotten something of such high quality in Singapore! It is really cute! 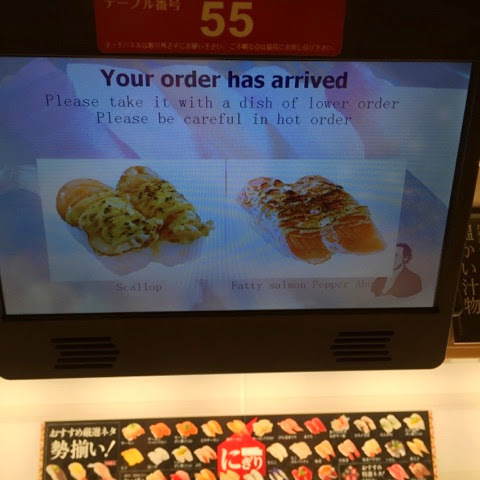 You can either take your choice of food from the conveyor belt or order from the screen in front of you. Choose your language so you will have an easier time. Wait for your orders as it is processing. When they are ready, you will be prompted. The food are pretty amazing. 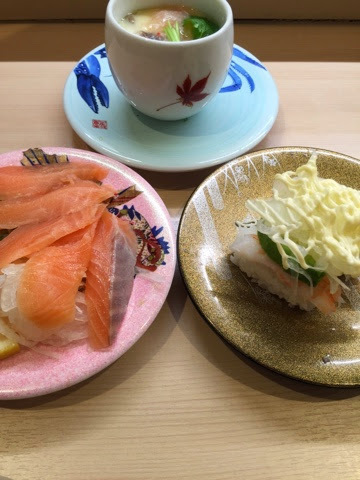 1300 yen for two to enjoy these freshly made sushi is quite a steal. 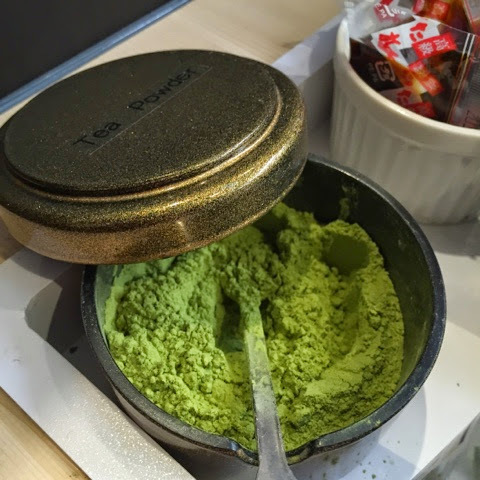 Tea powder is for you to make your own tea. Everything is pretty much self service except the billing stage where they need to count our plates.